30 years, 7 months, 11 days old age. Prachi Desai will turn 31 on 12 September, 2019. Only 4 months, 19 days, 19 hours, 31 minutes has left for her next birthday. Prachi Desai has celebrated the total number of 30 birthdays till date. See the analysis by days count and bar graph. Prachi Desai was born on 12th September 1988 in Surat, Gujarat, India. She is a famous Bollywood Film and Television Actress. 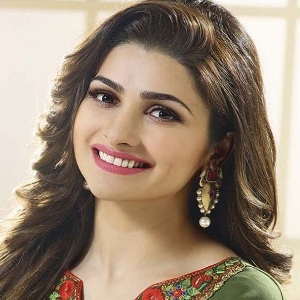 Prachi Desai, regarded as one of the most famous celebrities in India, began her Acting career, in the Indian television by playing the lead role in the super successful television drama “Kasam Se” on Zee TV in 2006. For this show, she won many Awards, over the years, including Best Fresh Face Award, by Indian Telly Awards and Best Actress Television by Kalakar Awards. This beautiful Gujarati girl has even participated in a Dance Reality show, Jhalak Dikhhla Jaa in 2007 and won the competition. She was also awarded the Dancing Star of the show. This multi talented Actress then forayed into Bollywood in 2008 with a super hit movie “Rock On! !” for which she won many accolades and Best Debutant awards. Over the years Prachi has done several Bollywood movies. Her movie “Bol Bachchan” in 2012 opposite Bollywood Superstar Abhishek Bachchan, became her career’s highest commercially successful film.